Ask about DIEGO GUERRERO, provocateur of exchanges, musical agitator. Ask about him amongst musicians, whether they be internationallyrecognized artists or music students. Diego has always transcended Flamenco in his music. Not only a singer but also a prolific musical producer, arranger, composer and guitarist, Diego is one of the top references in the world when it comes to the fusion of Flamenco with other genres.The unusual story of this Andalusian native began with his studies in the conservatories of Seville, Granada and Cordoba. By day he worked on majoring in Composition and Orchestral Music, and by night, he immersed himself in the oral tradition of Flamenco, gathered around a fire with a guitar coupled with the characteristic sounds of the Palmas and Flamenco singing. 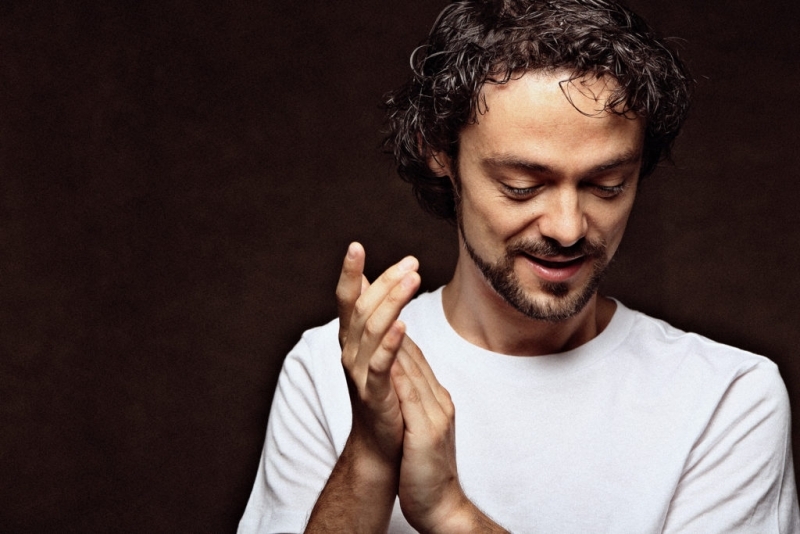 This duality marked the birth of his daring proposal to bring Flamenco closer to other musical styles.His debut album, “Vengo Caminando”, is an eclectic work rooted in Flamenco, yet tastefully opens doors into other styles of music. Its release immediately achieved him status as one of the most important artists of the genre and received international recognition being nominated by prestigious Latin Grammy Awards in the category of “Best Flamenco Album”. After 60 concerts in Spain in the last 12 months, he is now preparing his first tour in the US, where he will perform at festivals in New York, Miami, Chicago and Austin.